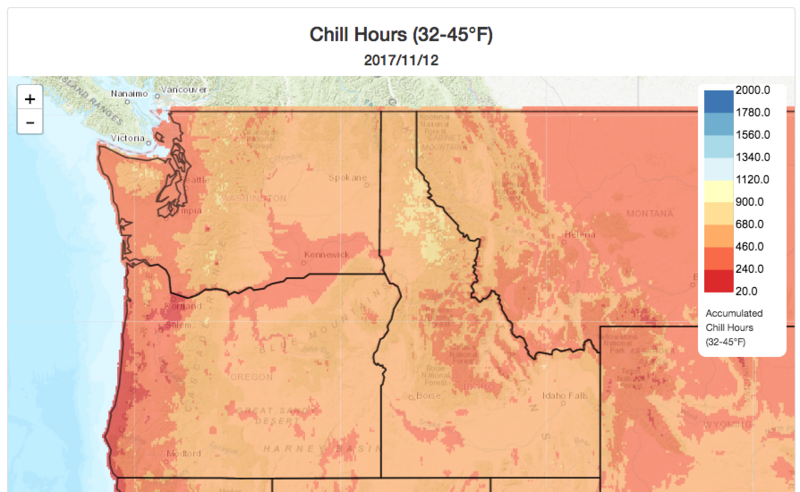 On the Climate Mapper tool, we have added the following chill hour metrics under the products of 'Observed Agriculture/Climate' and 'Future Climate': 'Chill hours(32-45F)', 'Chill units(Utah model)' and 'Chill portion (dynamic model)' . 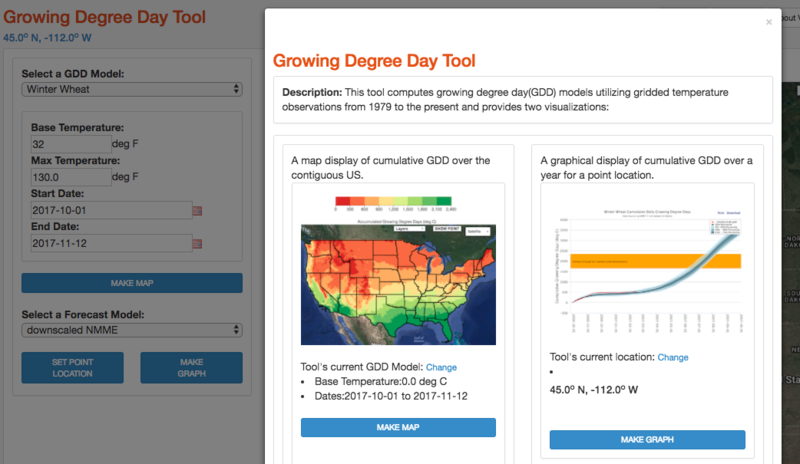 A previous toolbox tool that made maps of cumulative growing degree days and cumulative graphs for a point location has been temporarily removed from the toolbox. We do have plans to restore this tool, but there are challenges to getting this done quickly.